Asus Zenfone 4 Selfie: Are you ready to take that perfect selfie? Asus has been consistent when it comes to releasing handsets in India. 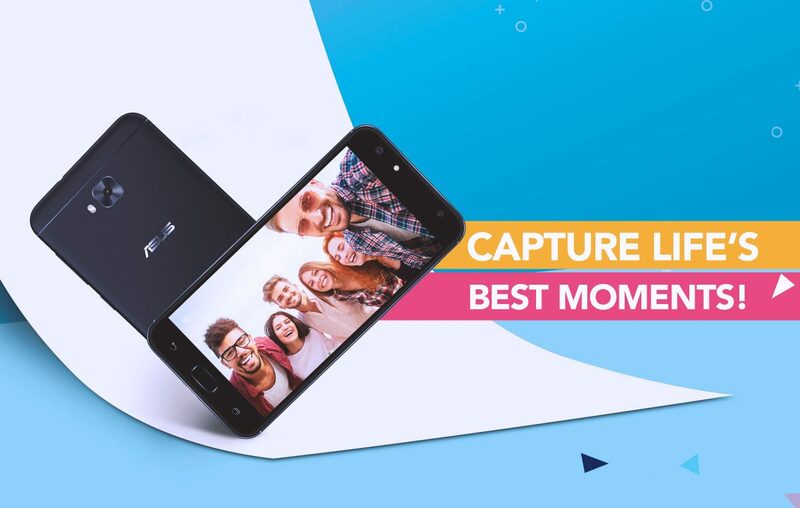 Their latest entrant, Asus Zenfone 4 Selfie, is the proof that they are constantly ready to gear up and release smartphones with latest trends in the industry. One such trend that the new Zenfone 4 Selfie exercise is the dual selfie camera. But is that enough to attract buyers? We find out in this article below. What is unique about dual selfie cameras on Asus Zenfone 4 Selfie? > Higher camera resolution setup: There is two high-resolution camera at work. Primary lens is of 20MP and secondary lens is of 8MP, which is the highest in this price range. > PixelMaster 4.0: Asus is known for their camera technology, which makes sure every picture you click is vivid and bright. This will make your selfies 10x better when compared to an average camera phone. > Fit everyone is one selfie: With 120-degree wide angle lens accompanying the selfie camera setup, you can surely fit every member in a selfie without struggling. > Capture true skin tone: There is a support of soft light LED Flash, which no matter what time of the day it is, or how the lighting is, will help you capture the best selfie with true skin tone. Thus, selfies will look realistic, but not artistic. What are the highlights of the Asus Zenfone 4 Selfie specifications? > Get the glitch-free performance! Equipped with a Qualcomm Snapdragon 430 processor and paired with 4GB RAM and 64GB storage, this Asus smartphone is for the multitasker in you. > Durable and Elegant Design! Asus has produced beautiful durable smartphones previously, and they are doing it again. Their new Zenfone 4 Selfie sports a 2.5D contour glass, which adds to its durable design. > Triple Slot Accessibility! These days almost all smartphones come with a hybrid SIM card, which either allows placing two SIM cards or one SIM card and a microSD card. Asus empowers their users to use two SIM and a microSD card, all at once. > Storage can be expanded up to 2TB via microSD card slot. Store your favorite memories without worrying about storage limit. Why should I buy Asus Zenfone 4 Selfie in India? If you are looking to buy a dual-selfie camera and have a budget somewhere around Rs 15,000. Then, this is the best dual selfie smartphone you could buy in that price range. Considering the design, performance, and other highlights of the Asus Zenfone 4 Selfie, its a good investment for the selfie lovers out there. What is the Asus Zenfone 4 Selfie price in India? The Taiwanese brand is known for their aggressive pricing! With Asus Zenfone 4 Selfie price, it isn’t different any less. The dual-selfie enabled smartphone retails at Rs 14,999 on Flipkart. If you are a selfie lover with a budget of 15,000, then, you won’t find the best selfie smartphone than this. Previous article Samsung Galaxy J9 Pro: 5-inch Smartphone you have been waiting for! Next article Infocus Vision 3: Beautiful, Fast, Bezel-less Budget Smartphone! Moto M: Nougat or Marhsmallow? Worth the buy? Infinix S Series: Could there be a better selfie phone out there? Reliance Jio Feature Phone : Booking’s open!